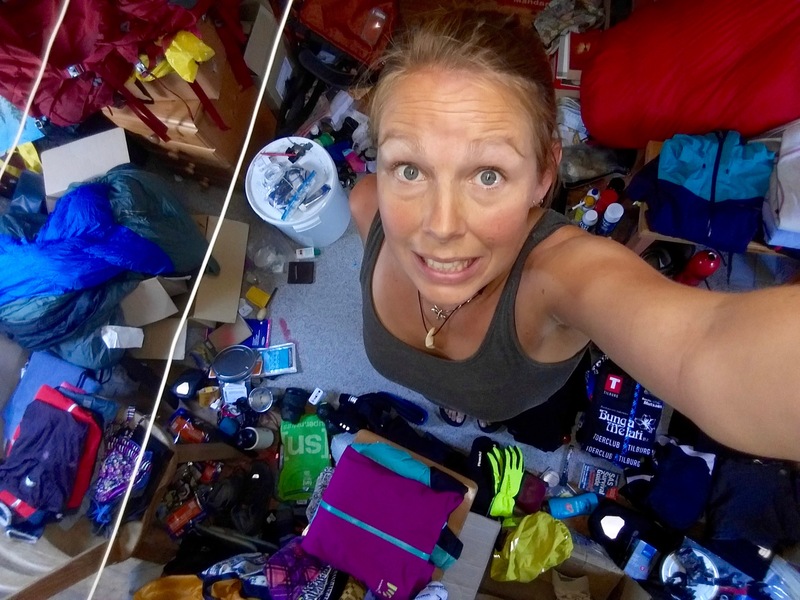 Between (re)organising all the travel and cycling gear I’ve collected over the years in my mothers attic, packing my panniers and picking up the last bits here and there I just manage to sit down for a blog. 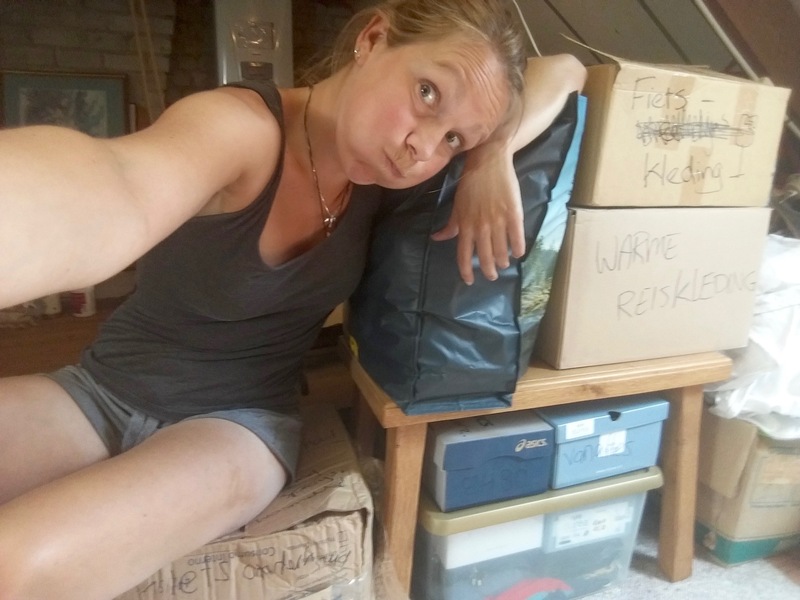 After 6,5 months in the Netherlands and the many supportive messages I received, I don’t want to just leave without a word. So first; Thank you, for your support! With some unsure but hopeful plans to ‘get back in the saddle’ in mind I got on my bike for a ‘testride’ in Holland. The first day I cycled to Utrecht. 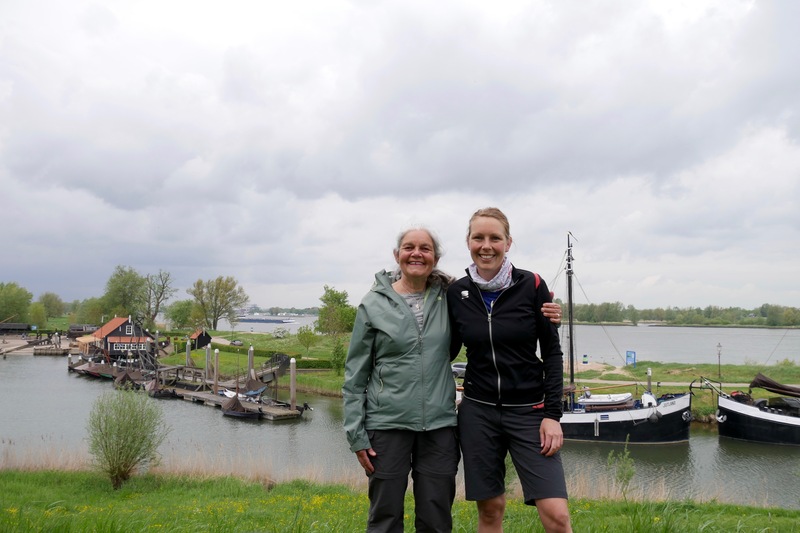 My mum joined me till halfway, to Woudrichem. I felt okay cycling, but talking while doing so was quite intense. I stayed over at a friend’s house in Utrecht and the next day I woke up feeling shattered. Luckily it was raining! I payed for cycling 85km the previous day by spending a full day recovering under a blanket on the couch. In ‘the wild’, on my bike and with myself. 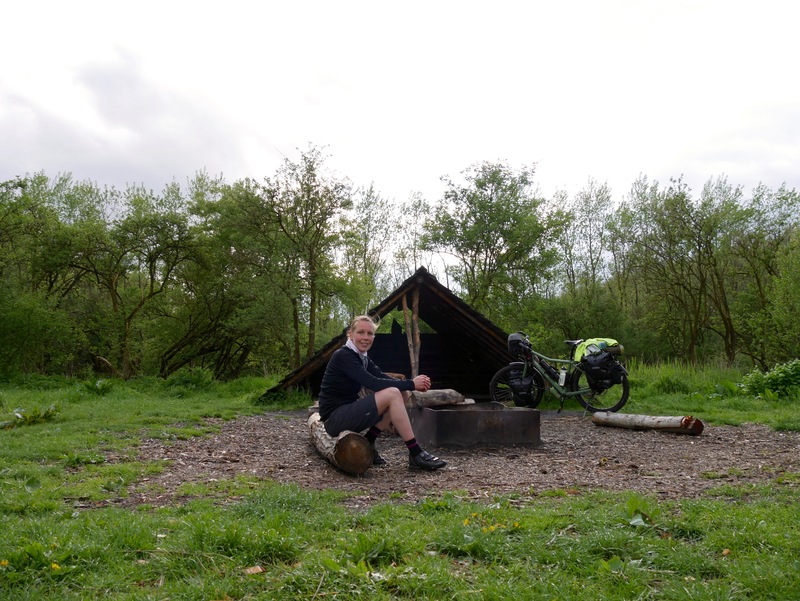 The next day (once it finally stopped raining at 2 p.m.) I biked 45km to a ‘legal wildcamping spot’; Campanula in Flevoland. 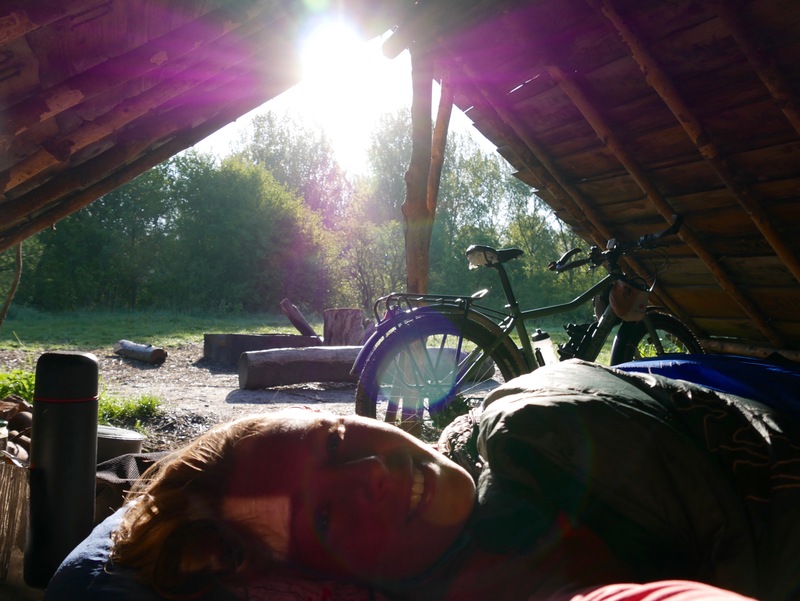 When I arrived there, at a beautiful wooden shelter, the sun just came out. Nothing around but singing birds, green, a little river and that beautiful hut, to be my house for the night. My heart filled with happiness and my eyes with a few tears. I’m back! After a stormy night I decided to stay there for the next day and do nothing but read, yoga, gather some wood and cook. It was indescribably wonderful to be ‘back’! Back in a place I’d never been before but still coming home. In ‘the wild‘, on my bike and with myself. I cycled a few more days. 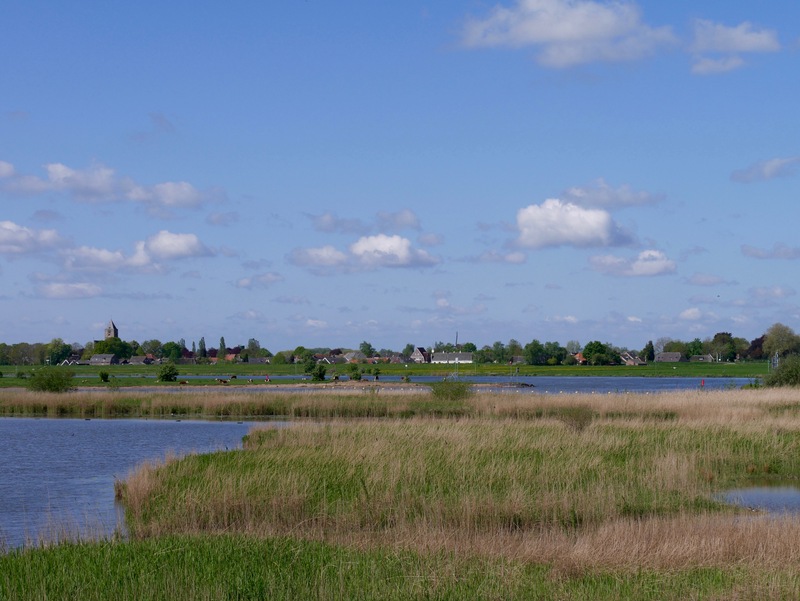 To Kampen; a village where my favourite youth book played. The main character was a girl who lived in nature, self-sufficiend and brave, during the middle ages. My first inspiration! She was called ‘Hasse Simonsdochter‘. I crossed some very cute tiny villages, a lot of nature and charming towns. And after one week I returned to Tilburg. I cycled short days and it cost lots of energy, but, I did it! I felt good on the bike, but I spend most nights with insomnia. At my arrival back in Tilburg it was time to read more about the news that had reached me, but that I had kept at a distance during my ride. 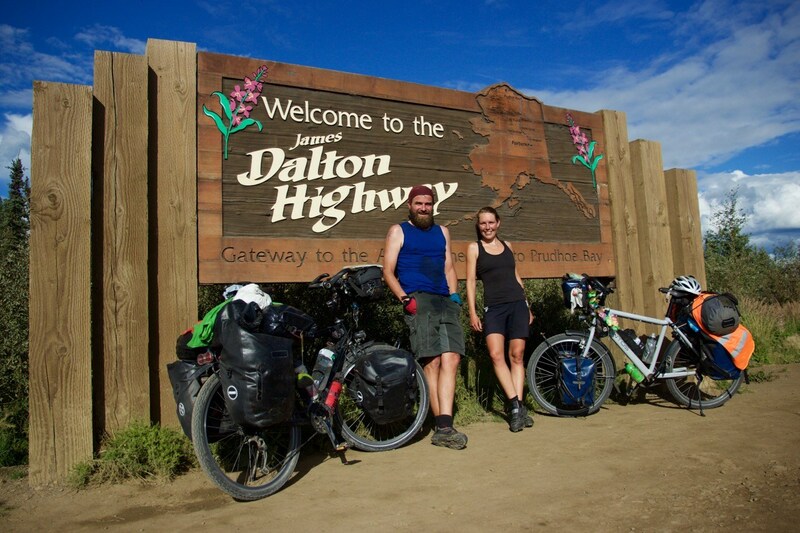 After my first day of riding I read the facebook post that Holger, the cyclist with whom I rode up the Dalton Highway in Alaska, had gone missing in Mexico. At that moment the last contact anyone had with him had already been a week ago. Soon after that first post a message came that a body was found, a bicycle and a trailer. Followed by a message that it wasn’t Holger. 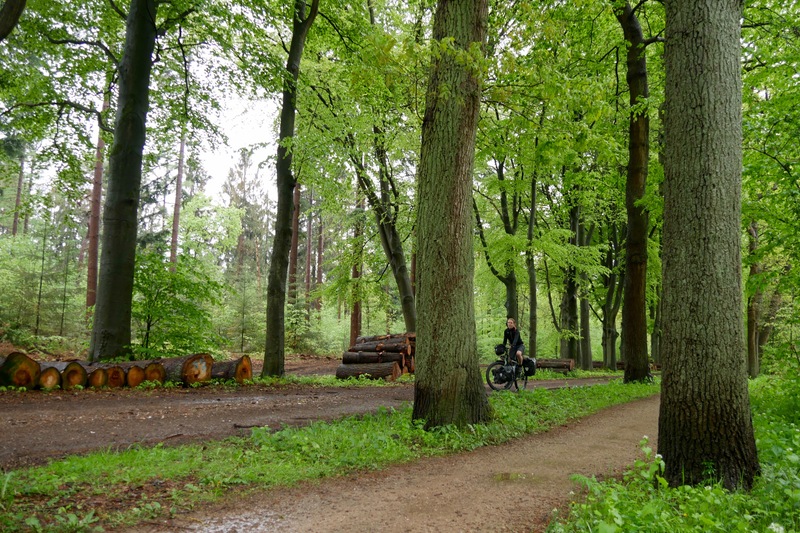 The remains were identified as to be the body of the Polish cyclist Krzysztof Chmielewski. The night I arrived in Tilburg I read everything I could find about it online. There wasn’t much news. And it had already been two weeks now. My hopes that he just lost his phone or decided to ‘go off the grid‘ for a little started to waver. That night I hardly slept, I just couldn’t stop thinking about Holger and what could have happened. The next day the horrible news came out; Holger’s body was found. 200 meters from Krzysztof’s body, deep in the ravine. I felt like I got hit by a truck. 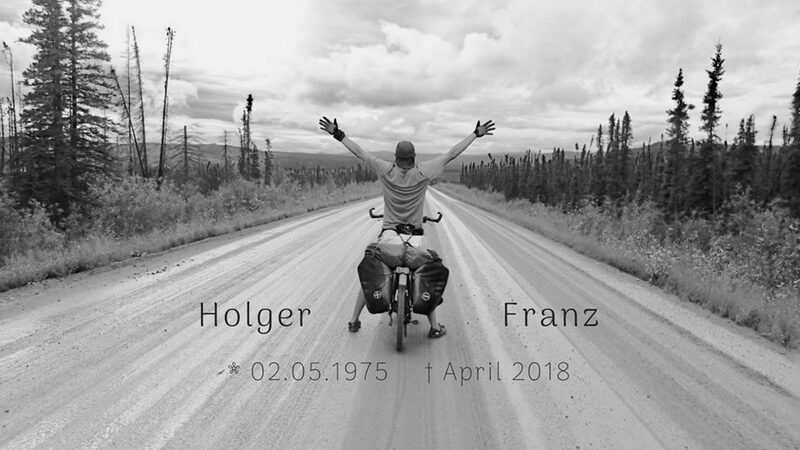 Holger, with whom I cycled the remote and legendary Dalton Highway, with whom I only spend a short but intense and fun time, who cycled around the world like me and with whom I exchanged plans and stories every now and then, was dead. The Mexican police at first proclaimed it had been an accident, but soon enough messages came that part of their luggage was missing, that Krzysztof had been beheaded and Holger had died from a gunshot through his head. I felt sick for days after hearing this last news. It happened on a road that I, any many cyclists, have ridden, between San Christobal andOcosingo. The firefighters who must’ve collected Holger’s body are probably the guys of the same station where I rolled out my mattress and spend the night a year ago. It all feels so close. The people from Chiapas (the state where it happened) stood up as one and went on rides to honour Holger and Krzysztof and to protest. This news doesn’t make me more scared to travel, I found. I’m not shocked by the fact that this can happen, I never believed it couldn’t, but I’m shocked that it DID happen. I’m not re-calculating the risks or speculating about what happened. My thoughts are with Holger, whome I considered a friend, Krzysztof (who I’ve never met, but was a cyclist like us) and their families. In this article you can read more about it. Even though the news about Holger blew me away, I’m getting better. Sleeping is still disastrous (I can’t sleep at all without medication) but during the days I’m feeling better and better. And tomorrow I’m taking off! This Sunday morning I fly at 6:05 to Girona, Spain! There I will join a crew that is rebuilding research vessel ‘the Heraclitus’. After 40 years of sailing around the world, this ship needs to rest and be rebuild. I met the ‘captains’ of this project, Christine and Claus, on the travellers festival in Dubai. I’m moving in with the crew (6 people at the moment) in a big old house in a tiny village just north of Girona. Five days a week we’ll be building on the ship in the town of Roses. Apart from building the crew spends some evenings together, themed; philosophy, presentations, watching a movie etc. 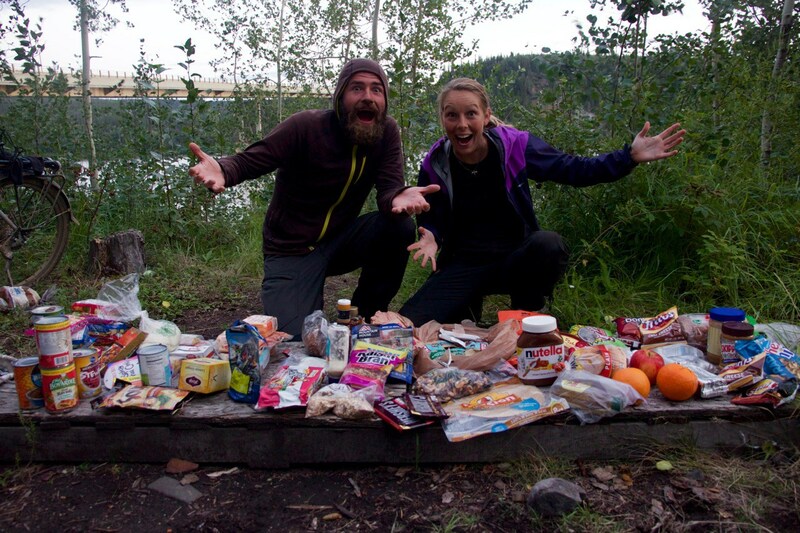 I’m gonna join them for a week or maybe several or just as long as we like it. After that I’m getting on my bicycle! I have a rough plan for a route. It starts with cycling through France along the northern side of the Pyrenees to Biarritz, from there join the route to Santiago de Compostella till about León where it intersects with the Via de la Plata route and follow that one south to Sevilla. It’s a rough plan with space to go into Portugal and maybe continue to Morocco after. One thing is sure, before the end of September I’ll fly back to the Netherlands, because I’ll become an aunt for the first time! And I’m already making plans for after that.. but, no tickets yet. Let’s first get back in the saddle. It’s been a long 6 months in Tilburg ‘on the couch’. I’m really excited to get back on the road. It’s time! And if I somehow get to sleep again at some point, I’m sure those last bits of burn-out will disappear too! I organised my travel gear. Now I just have to pack my panniers..
It’s my plan to, like before, write every two weeks about my experiences and thoughts on the road. You’re very welcome to follow my blogs again, to write me (best via email) or to just read along and silently enjoy.